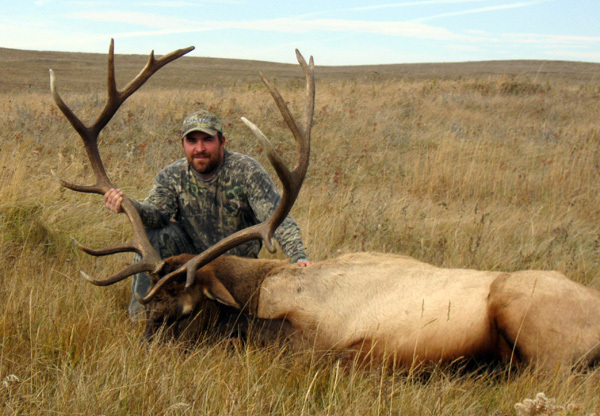 Elk are generally in herds this time of year giving hunters a unique chance to look over several bulls before deciding which one to take. Bulls that have been rutting hard are searching for food to replenish their fat for the winter. Accommodations for the post rut elk hunt will be in a local motel with breakfast and supper in local restaurants. A bag lunch is provided for you to take with you in the field. 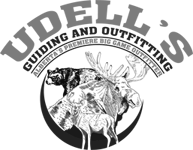 This hunt takes place in the Northern reaches of the Rocky Mountain foothills on the fringes of agricultural areas during the post rut period. 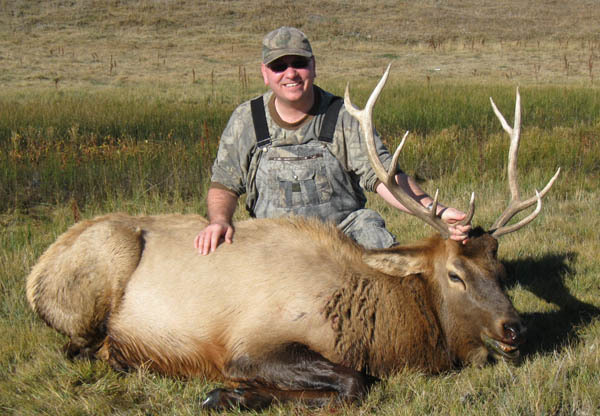 Our area has an excellent population of elk with the trophy potential being very high. Elk migrate down from higher elevations and generally concentrate in the foothills, at the bottom of the snow line. Since they are concentrated, the population density is higher and your chance of seeing an elk is improved. There are even resident elk that live in lowlands all year that can be patterned. This hunting area requires bulls of 3 points or larger be taken. Your chance at seeing a bull with 5-6 points is pretty good.